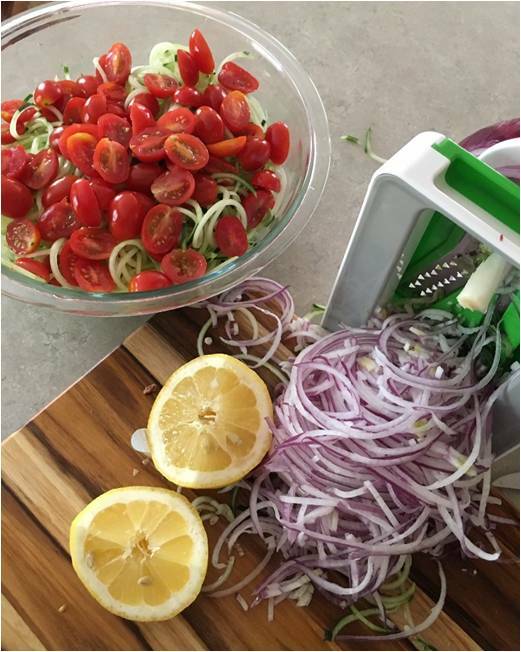 *If you don’t own a spiralizer, you can dice the cucumbers! In a medium bowl, whisk together olive oil, lemon juice, vinegar, oregano and garlic. Season with pepper to taste, if desired. Add the cucumbers, tomatoes, onion, and feta cheese to a large bowl. Add the desired amount of dressing and toss to combine. Enjoy! Newer PostDoes TV in the Bedroom Increase Childhood Obesity?